Honestly, what am I thinking!! I'm enjoying all of the great builds. Not sure how much extra I will do on it, I just know I want to build it. There is lots of nice progress in this campaign. Thorsten: Congrats to Your PZL. Really Nice work. I like it a lot. Shrimpman: Congrats for You too! Very nice finish of Your Lancaster. 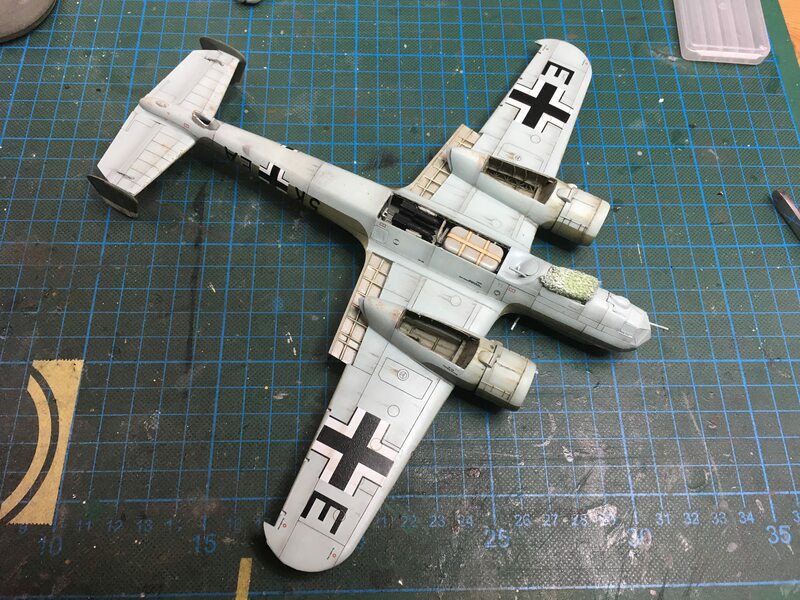 Put some color onto my Dornier and some weathering, like post shading and pigments. But, then I applied some pigments for the engine smoke. Normally, the pigments I use can be easily removed if the result is not pleasing. This time, I used MiG´s Black Smoke and it bite into the surface. So the application of the black pigments is now much too strong in my taste . 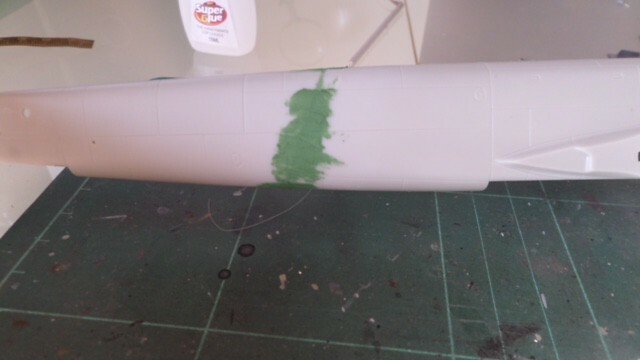 Probably, I will have to give the surface some more chipping to increase the level of weathering to the smoke trails. 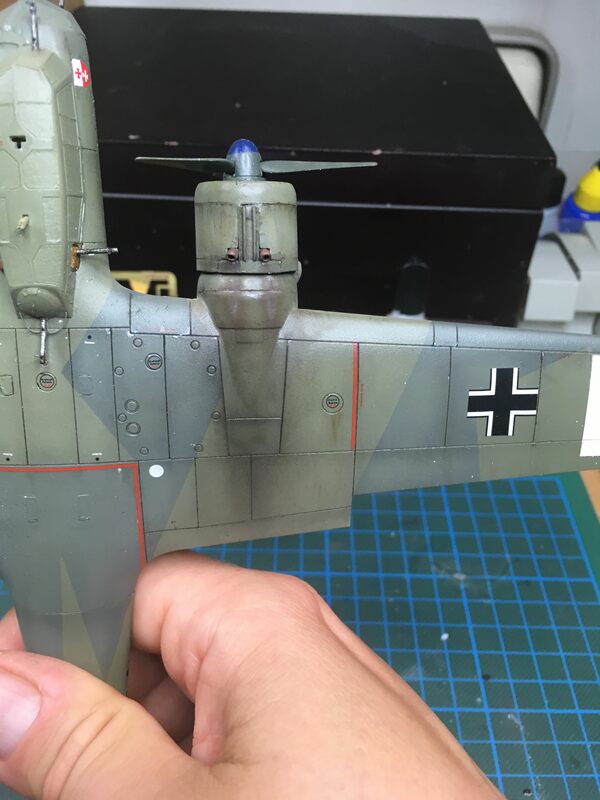 Have You any ideas, how to decrease the smoke trails without repainting the areas? ...So the application of the black pigments is now much too strong in my taste . 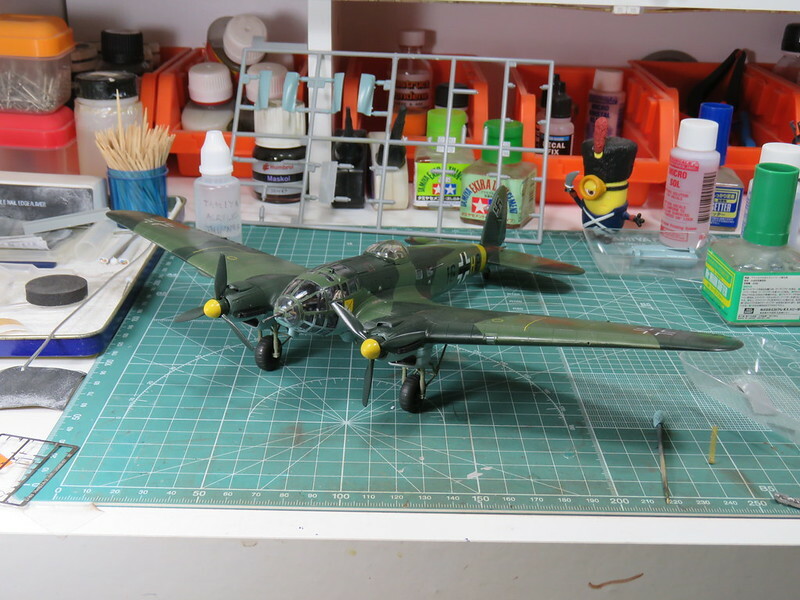 Probably, I will have to give the surface some more chipping to increase the level of weathering to the smoke trails. 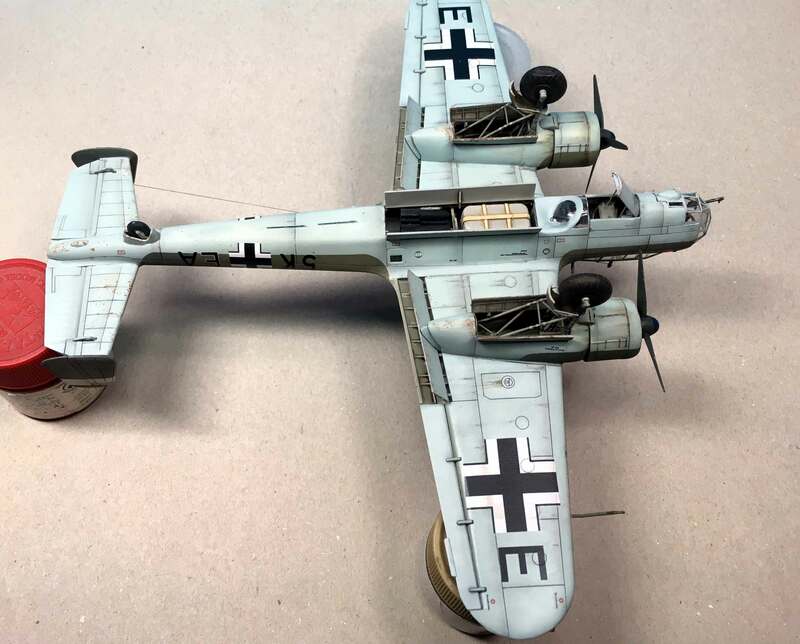 Very nice work and paint, Oliver! And great builds on the run everybody. For me the bottom and top side of the Do looks very much o.k. and the smoke appears not overdone. Maybe you like to tone it down with some brownish pigment if you can't remove the stains - but I would leave it. BTW, ist that a fingerprint at the after bottom fuselage benaeth the "E"? I have to agree with Thomas. It looks good as is. The brown pigment idea should work but I wouldn't worry about it very much. 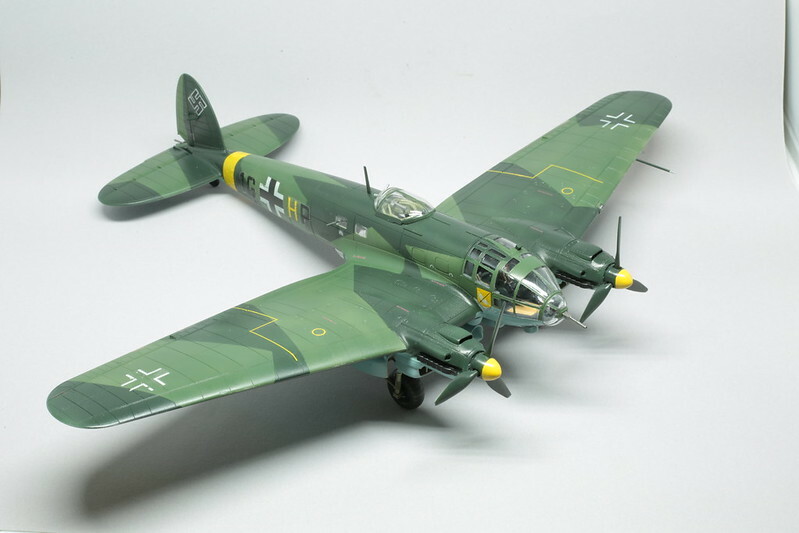 Your model is one good looking airplane. Wish I had your skill. 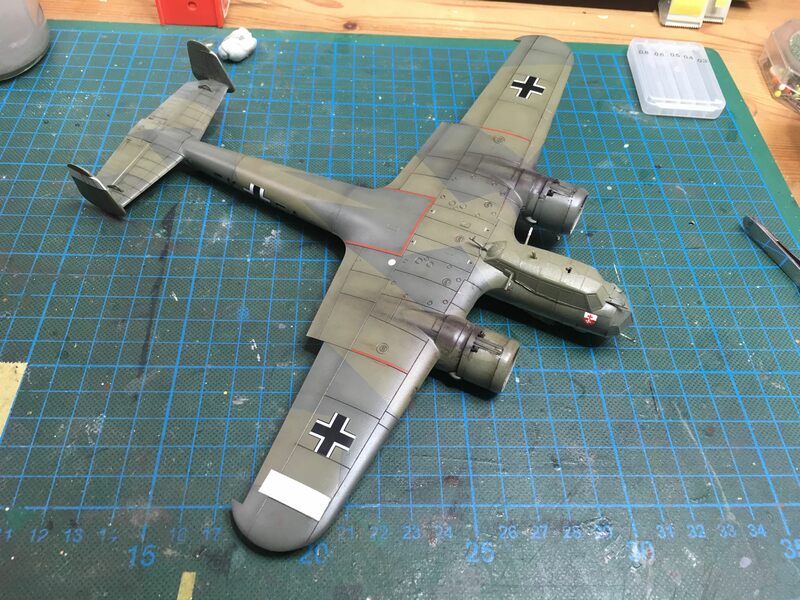 Your Dornier is fantastic, the overall weathering looks very good and realistic. I really don’t think the exhaust stain is overdone, but adding some brown and grey can balance the darkness to a less conspicuous shade if that’s what your looking for. Hi Bob, bit late with thsi reply, but hadn't seen this earlier. Thomas, Don and Pedro: Thank You for Your nice comments. I tried to tone down the black color, but it ended up in a little mess, due to my clumsy fingers . So I repainted, washed and faded the area. 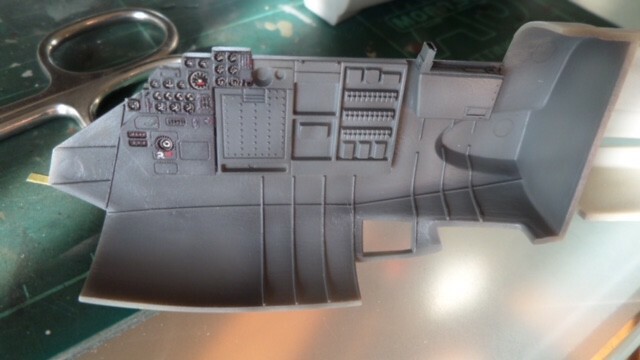 This time I put on some diluted Black Smoke from Tamiya by airbrush and worked out the shades with pastels. This is more close to the pictures I have found in the literature. 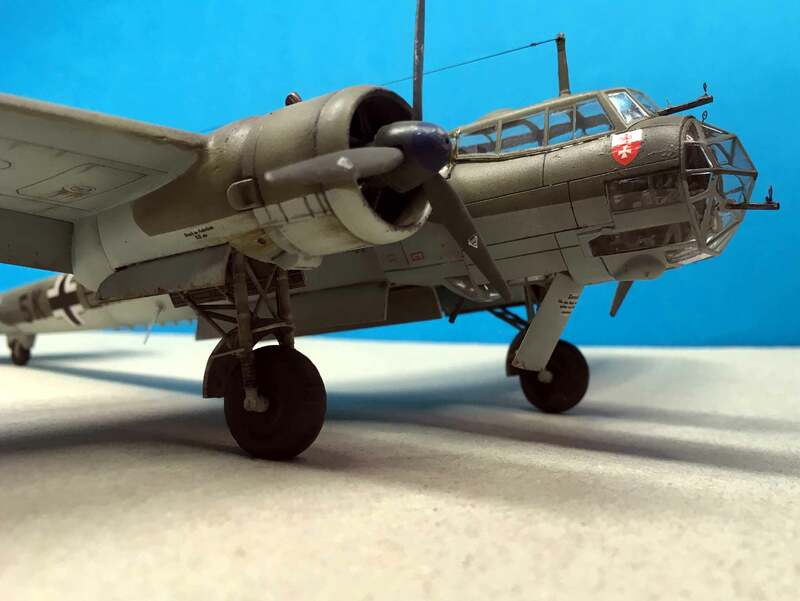 After my return from summer holidays in Sweden I have taken some photos of my PZL 37 and posted 2 of them in the gallery. This is a bit tricky, but there is an option. When you bring a particular photo in your gallery up to view, you'll see a line of icons under the heading "Additional Info" below your picture. The middle icon looks like a pencil superimposed on an image, and if you hover your cursor over it it says "Edit Photo". Click on that icon and you're given several options including, at the bottom of the list, "If you want to delete this image completely, check this box." Then there's a box with the statement "Careful - once it's gone, it's gone". Check that box then hit the "submit changes" button and there ya go. It's easier than I've made it sound. 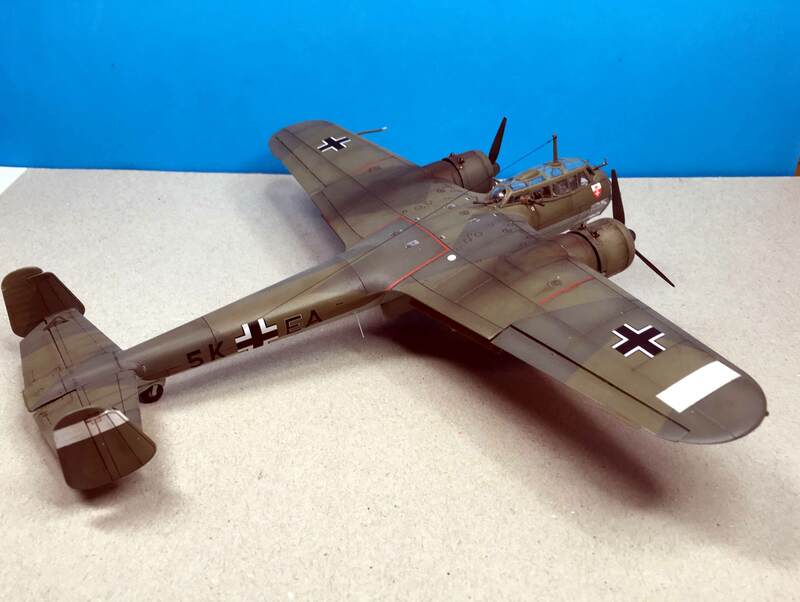 Time for a kick start on my build, Dragon's Junkers 188 A, first released somewhere in the late nineties I think, cause that was when I bought it. 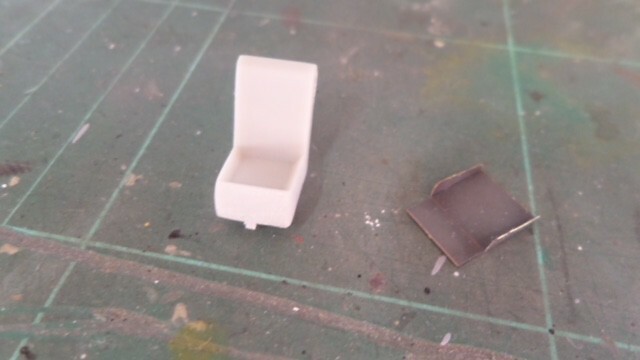 Having built their 88 kit previously (it shares around 70% of the mould) I know what to expect from it... Sink marks everywhere, some mismatched panel lines, not so good fit of parts, but no dimension or shape faults. Basically I like it! 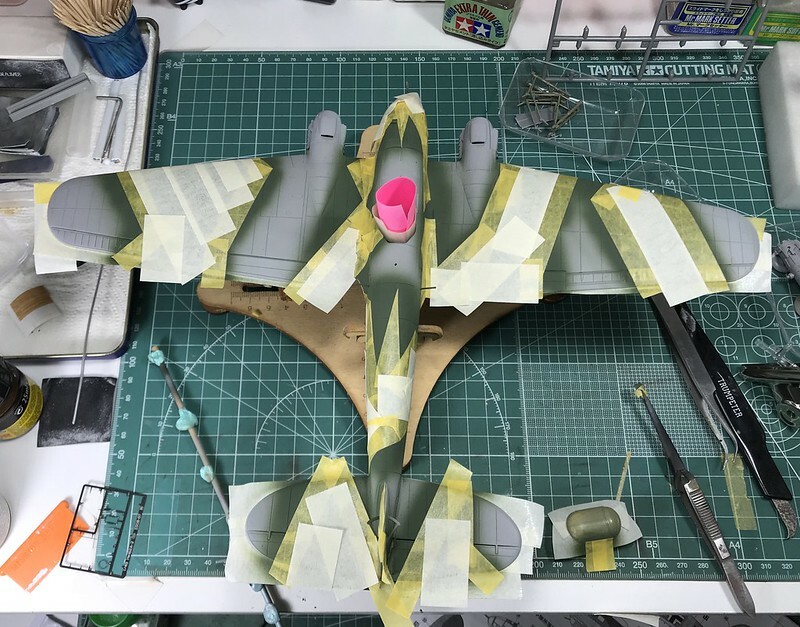 I started by painting the inside of the cockpit, and since its a very large greenhouse, all that I can get inside I will, being PE, resin or scratch. 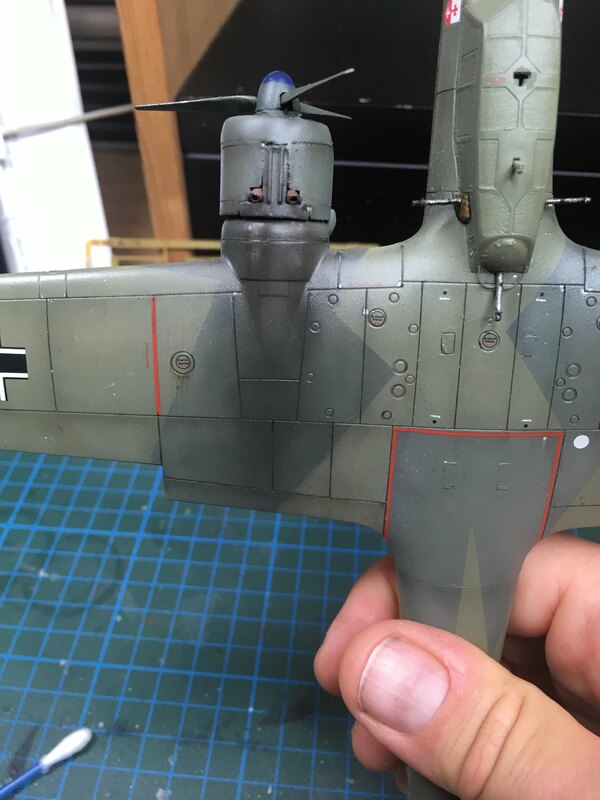 I anticipate some long hours to get all glued up, painted and weathered before closing the fuselage around the cockpit. A touch late to the party, but that's okay by me I have an OV-10 kit that I just got from an IPMS chapter auction. 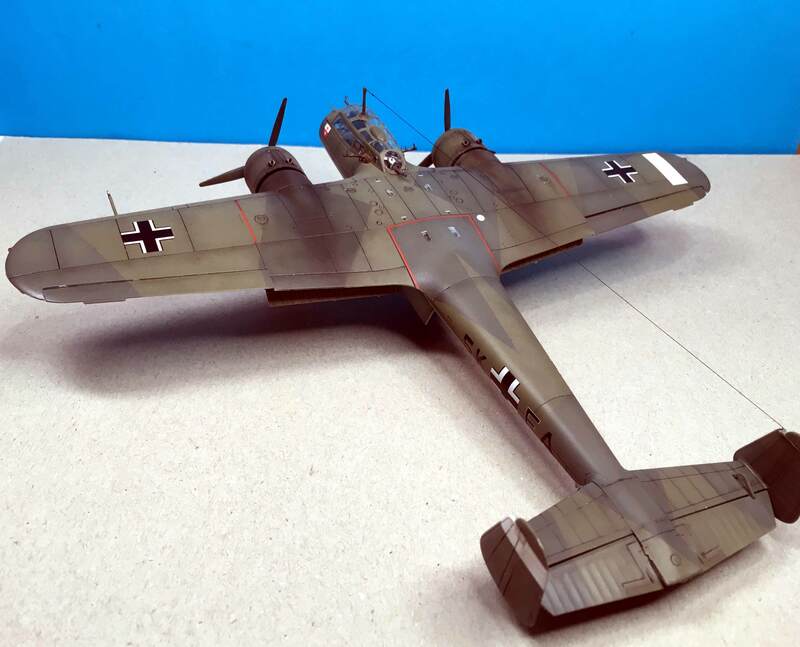 Do you all think it counts as a "purpose-built bomber"? 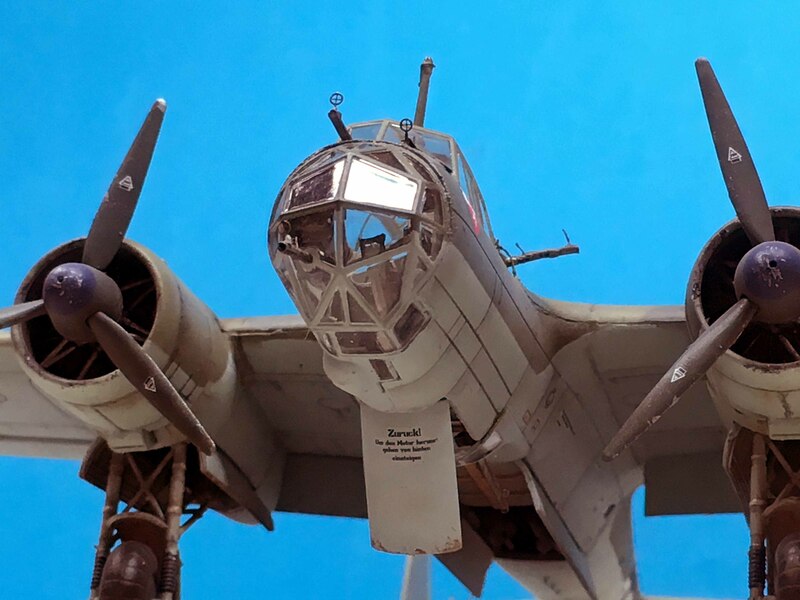 It has two engines and two crew, and was designed to wear many hats including that of ground-attack. Does that count for this campaign? Looking forward to the ruling! I'm afraid I don't think that counts as a purpose built bomber, Robby. Do you have something else? Ah that's a shame...nope, I don't have much else in the way of bombers. If the Bronco wouldn't make it, then nothing else in my stash would either. Thanks for the input though! 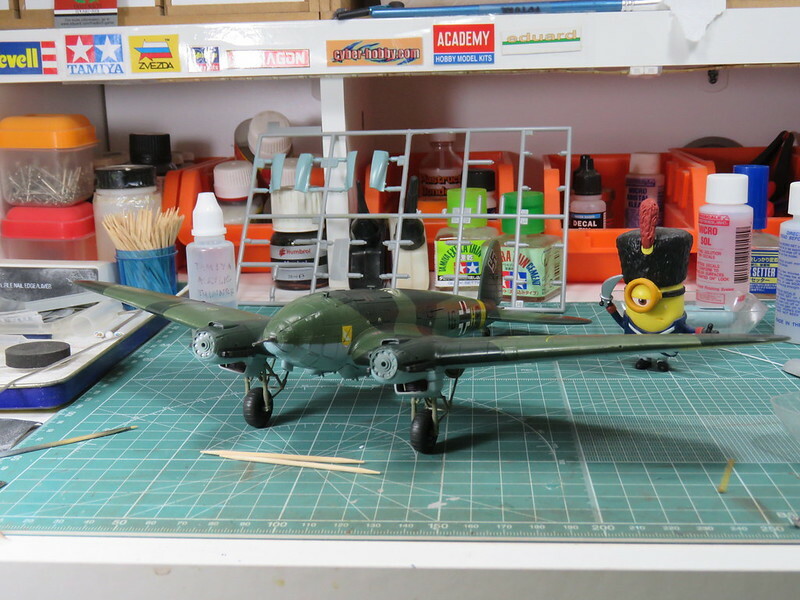 Progress shots of my Mosquito. The decals had lost flexibility and yellow leading edge decals broke when bent. It doesn't really matter, because I'm anyway planning weather the surface heavily. 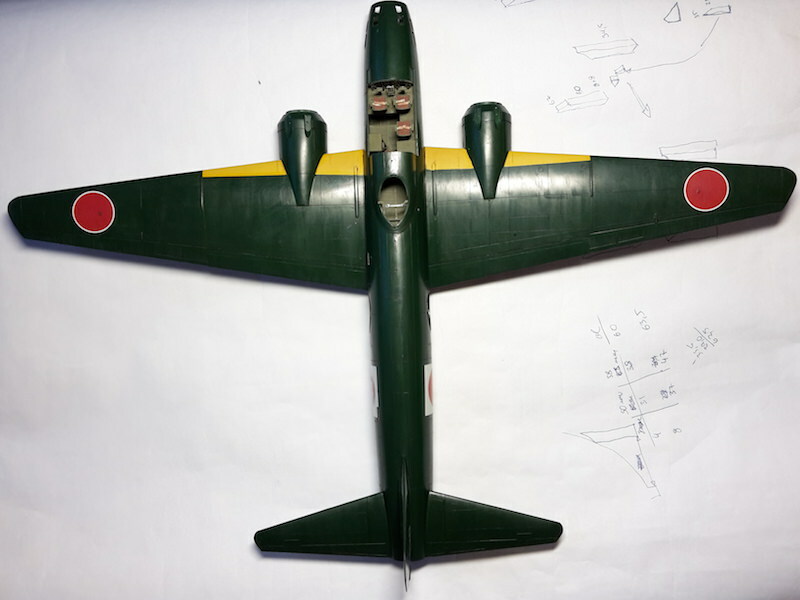 I believe japanese bombers were delivered to units unpainted, and paint applied on field conditions probably explains why the camouflage often flaked off. Finally got some time on the bench. Managed to get this build going again. RLM 71 went on first.. 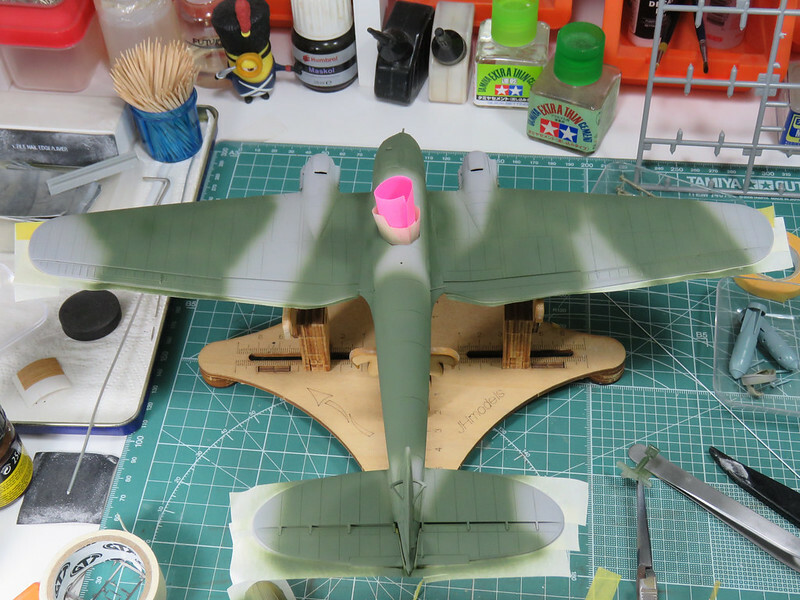 The underside got the RLM65 treatment along with the theater markings. Unmasked and ready for the fiddly bits. And she's done. Will be away for the next two weeks or so. Will do the weathering once I'm back. 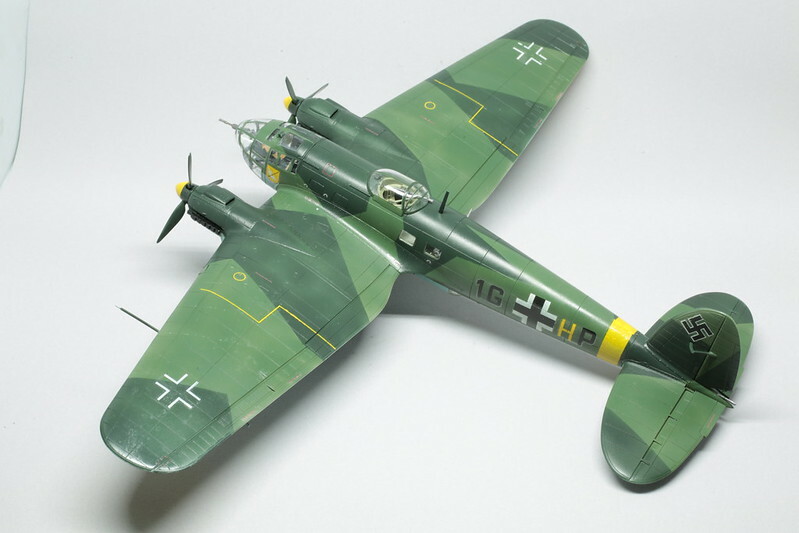 Raj: The Heinkel looks great. 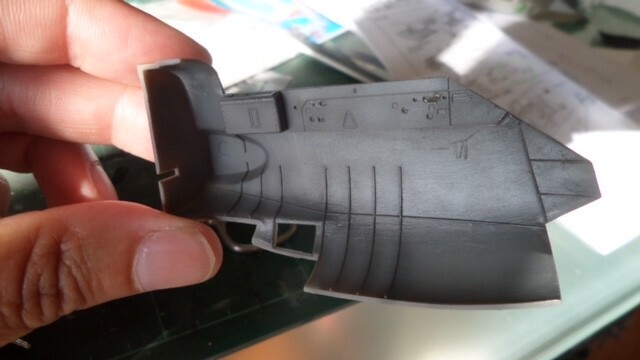 I am looking forward to see Your weathering process. 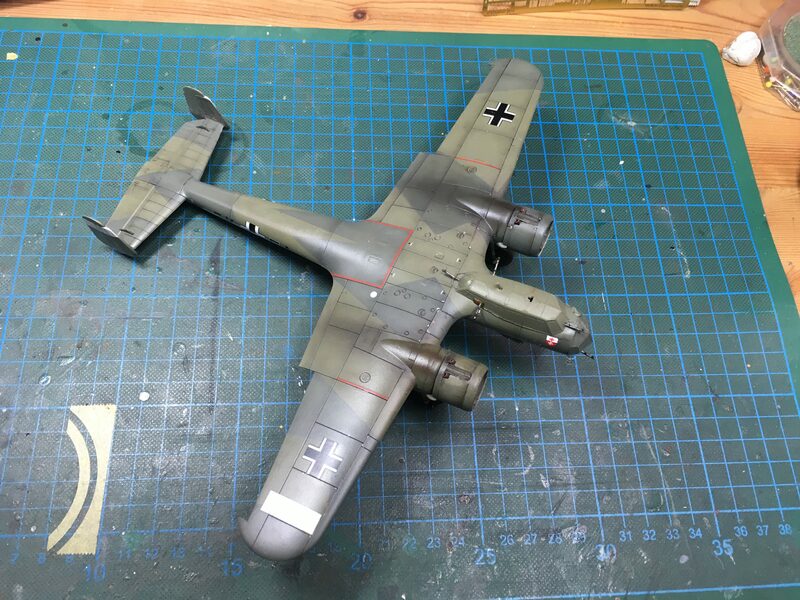 It took a while, but now my Dornier is finished. 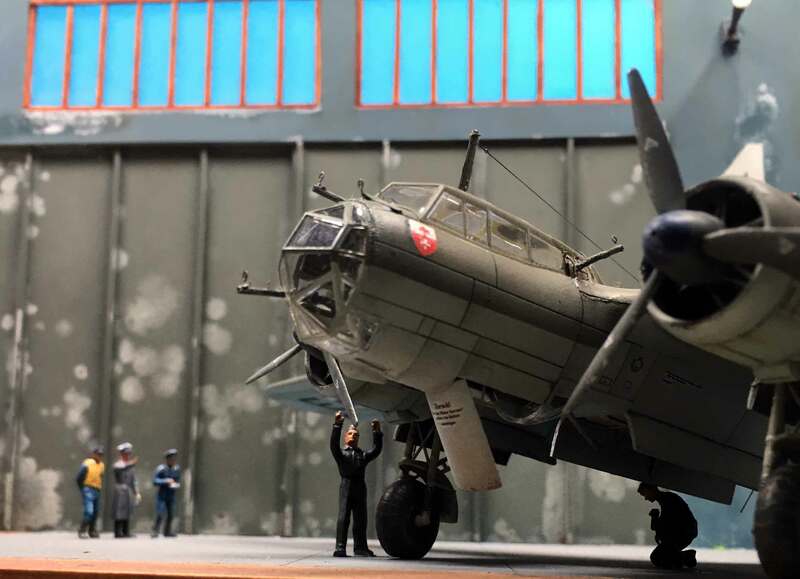 I took my hangar display for my Do-335 to make some more vivid pictures of the Dornier but, its too big . 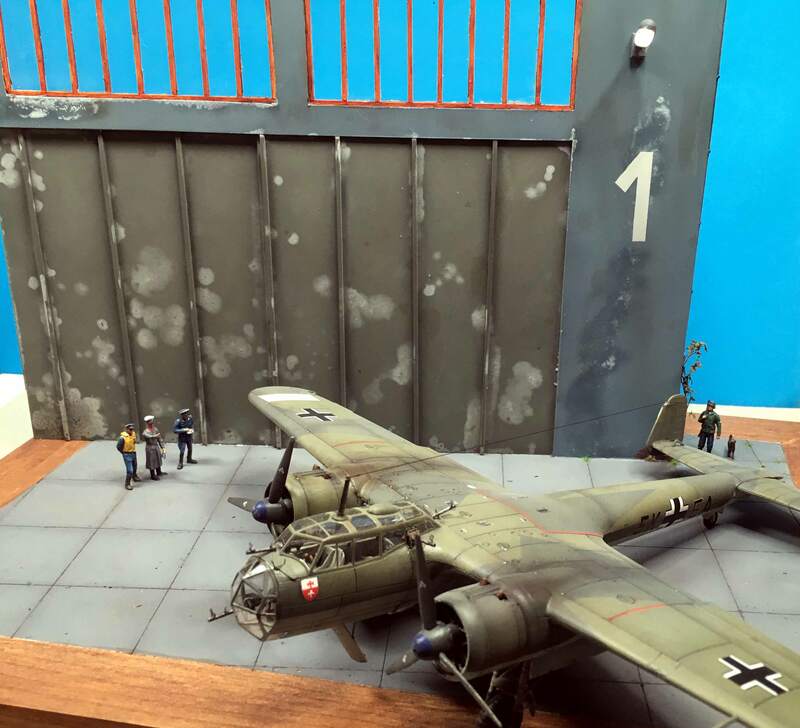 That Dornier looks amazing! Congratulations, Oliver! 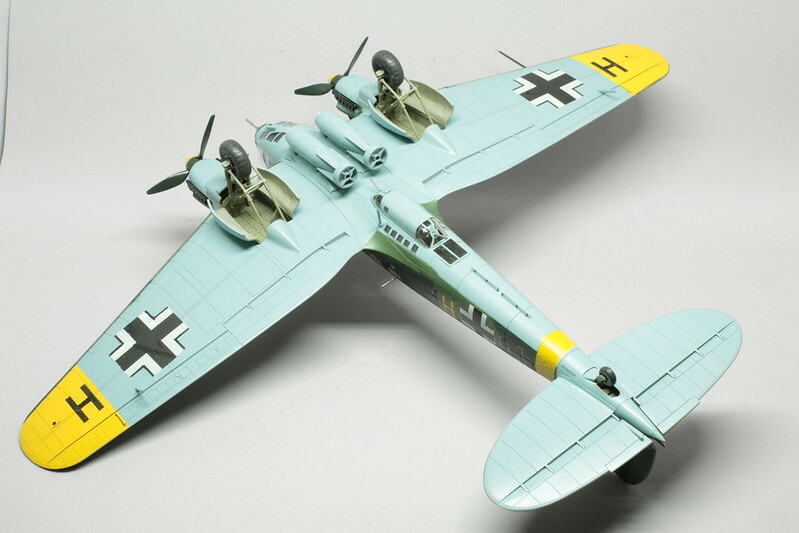 Very good models, both the Heinkel and the Dornier. Congratulations gentlemen! Raj, congrats on finishing your He 111. Looks great, you can be proud of it! Oliver, same to you! 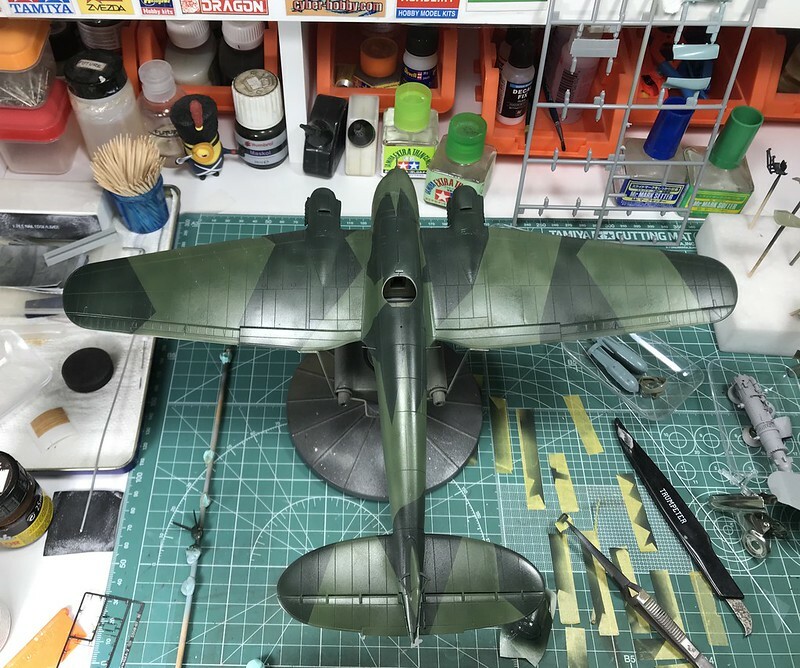 From a friend I heard, that the Do 17 is no easy kit, so your result does the original justice. Very well done! 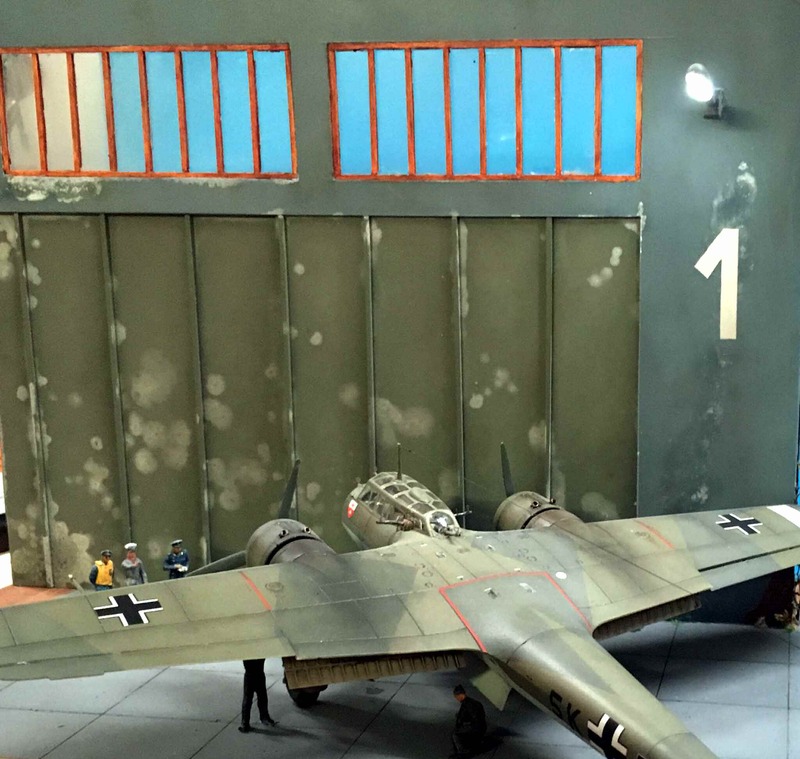 Very nice work on the Dornier and Heinkel! 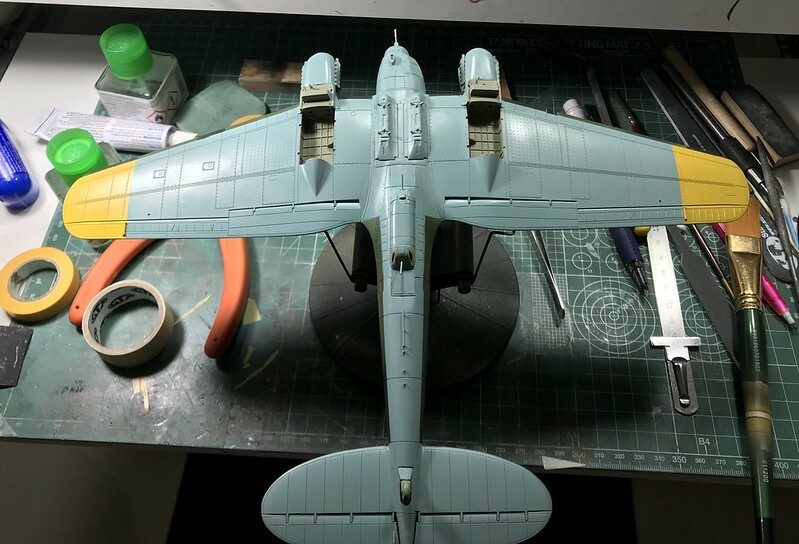 I had planned to build the HK B-17F for this one but the more I look at it the more I think I might want to collect some aftermarket stuff for it. It will clearly be the centerpiece of any collection and deserves some extra love. 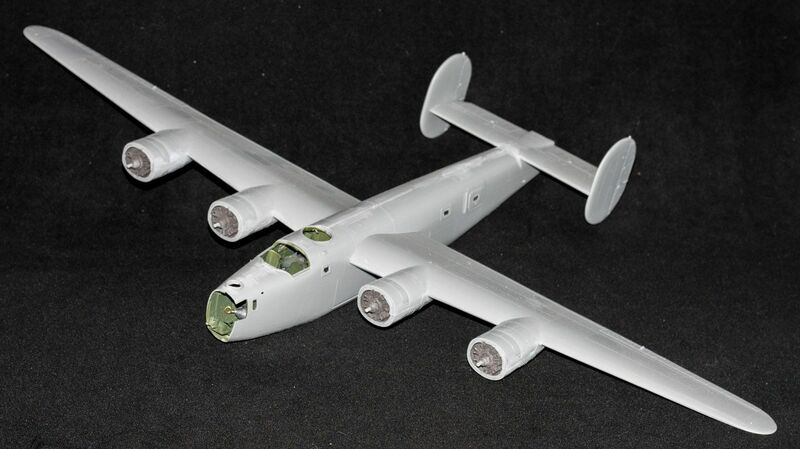 So I'm leaning towards switching to an Accurate Miniatures B-25B. I already did Doolittle's plane back when it first came out so I'm thinking Ruptured Duck this time. We'll see what happens as I clear out my current works in process.